A Little Bit etc. 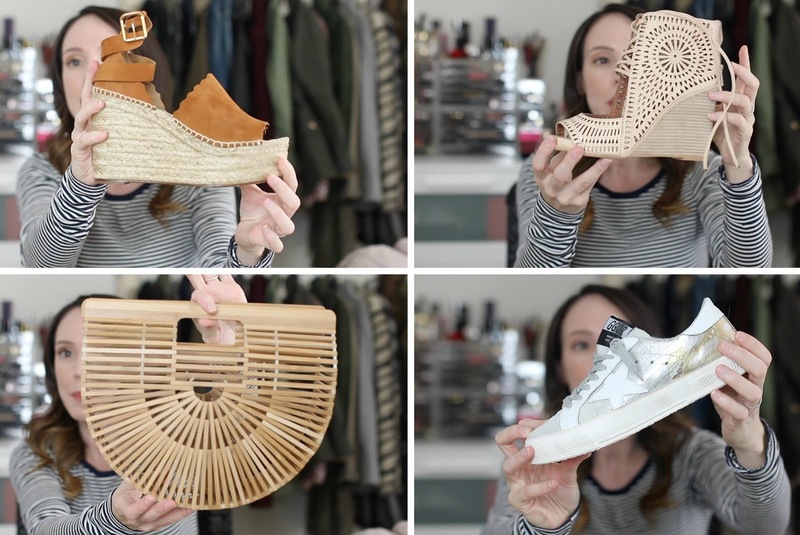 : Spring Fashion Haul | Wedges, Sneakers, Totes, Leggings and more! Spring Fashion Haul | Wedges, Sneakers, Totes, Leggings and more! My new spring fashion haul is now live on my channel! Enjoy and don't forget to subscribe. Hi Maree! Can I ask your advice on something? I just admire your taste and style so much and keep going back and forth on this. Basically I have a Michael Kors Selma purse that’s a few years old that I put up for sale and have received an offer but I have had a pang of uncertainty about selling it. It was one of my first “designer” bags, now I have a Dior and a Miu Miu that I love…I just don’t feel good about or relate to the MK brand anymore, it’s so ubiquitous and I almost feel embarrassed to carry it – I haven’t in months – but the thing is I like the actual bag, I think it’s lovely in terms of shape and quality. But I can’t escape how I think it reflects on me and my own thoughts about the brand when I wear it yet I feel guilty about selling it. What do you think? I would love your view if you don’t mind. Thank you so much! I can totally understand how you feel. My first designer bag I purchased was a Kate Spade bag when she first launched. I kept it for many years and loved it but at some point it didn't feel like me anymore and I didn't connect with the brand. At first I felt bad selling it, but after some time I rarely ever remembered having it. And over the years I have become less and less attached to things and if I truly am not wearing something, then I feel better with it out of my life. It's ok to move past something - and no matter how much you like something, if it makes you uncomfortable wearing it (no matter the reason - don't judge yourself for the reason, just recognize there is one), then I think it's time to let it go. Hope that helps! Good luck!